According to the Centers for Disease Control, nearly 50 percent of American adults have gum disease . In adults over the age of 65, this percentage climbs to over 70 percent. While this chronic inflammatory disease that affects gum tissue and bone that supports the teeth, it is both preventable and treatable. The first stage of periodontitis is gingivitis. During this early stage of the disease, gums become red, swollen and can bleed easily. The cause of gingivitis is plaque that is attached to tooth surfaces. The body reacts to the plaque in a way that can cause an inflammatory response which can lead to the destruction of gum tissue. The good news is that gingivitis can be both prevented and reversed with some proactive strategies. Yes, it seems simple, but it works! Brush teeth at least twice daily with a soft-bristle toothbrush and fluoride toothpaste and floss regularly to remove plaque between teeth. Regular check-ups and professional cleanings is also essential for removing plaque that can cause gingivitis. Although not a substitute for brushing and flossing, a therapeutic oral rinse, formulated for controlling plaque, can help reduce the risk of developing gingivitis. Smoking weakens the body’s ability to fight infection. This makes it more difficult for your body to fight off the early stages of gum disease. And, once you have gum damage, smoking can make it much harder for your gums to heal. Your diet also has a lot to do with the health of your teeth and gums. Sugary sweet and acidic foods can weaken gum tissue and tooth enamel. Healthier alternatives include apples that can dislodge plaque from gums and teeth, ginger which has anti-inflammatory properties, dairy products with bone-fortifying calcium and leafy greens which can neutralize mouth bacteria. Why Is Preventing Gum Disease So Important? Along with causing dental pain and tooth loss, researchers have discovered that gum disease is also linked to several serious inflammatory conditions, including heart disease, stroke, Alzheimer’s disease and glaucoma. 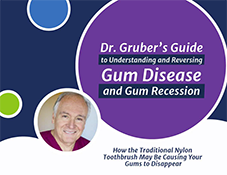 Ongoing research is being conducted to obtain deeper understanding of how gum disease may cause health problems that extend beyond the mouth and whether gum disease can be a way to prevent some serious conditions from developing. In the meantime, there are plenty of other reasons to keep your teeth and gums healthy, including maintaining a healthy smile for a lifetime. Many are surprised to learn the long history of dental implants.Dating as far back as 2500 BC, ancient societies devised ingenious ways to replace missing teeth, utilizing materials including jade, iron, bamboo, ivory and gold. An archeological site excavating Mayan ruins estimated to be over 1300 years old, revealed a skull with tooth-shaped shells imbedded in the lower jaw. Incredibly, evidence indicated the jaw bone showed signs of regeneration and had fused to the sea shells. These ancient finds reveal early humans struggled with tooth decay and gum disease (just as we do) and went to great lengths to create dental implants. In the 1950s, a Swedish physician and professor, Per-Ingvar Brånemark, performed research that revealed titanium, when surgically implanted properly, would fuse with bones in a process known as osseointegration. Since that critical discovery, dental implants using titanium have improved dramatically. Currently, millions of people worldwide have dental implants with over 500,000 procedures occurring each year in the United States alone. 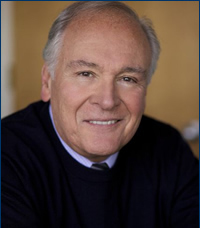 Modern dental implants are a technological and surgical marvel achieving an almost unheard of 95 percent success rate. A miracle prosthetic that restores patient’s smiles and boosts their confidence, dental implants are the only option that combines strength and stability with the function, ability and look of natural teeth. In fact, dental implants are so effective, many people mistakenly assume they are indestructible. Gum disease, also known as periodontal disease, is rampant in America. According to the Centers for Disease Control nearly 50 percent of adults suffer from some form of gum disease. That number increases to 70 percent in senior citizens 65 years or older. In total, over 67 million Americans are affected by periodontal disease. Further, nearly 25 percent of all seniors age 74 and older have lost all their natural teeth. These statistics indicate millions of Americans are suffering tooth loss due to periodontitis yet many are unaware they are suffering from the disease. As a result, millions of patients are receiving implants which has given rise to increasing numbers of Americans suffering from peri-implantitis. Peri-implantitis is an inflammation and bone loss surrounding an osseointegrated tooth implant, which is similar in all respects to periodontitis – the inflammation of the gums, soft tissue and bones surrounding natural teeth. Because dental implants are made of titanium with ceramic crowns, some patients have a false sense of security about their new teeth, however it is imperative to care for implants exactly as you would natural teeth. According to a study published by the National Institutes of Health, 28 percent of individuals who received dental implants developed peri-implantitis. The bacteria that causes periodontitis and the resulting loss of natural teeth is not eliminated by having implant surgery. It is important for patients to realize that the battle against bacterial plaque is a daily exercise. Prevention is always the best approach. Brushing at least twice a day to gently remove plaque from teeth and gums is essential. Choosing the right toothbrush is important. 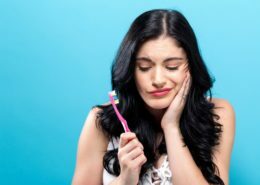 Upon finding out they may have peri-implantitis, many patients make the mistake of over-brushing or brushing too vigorously to compensate for previous neglect. However, brushing too strenuously can do further damage to gums. Cleaning between implants can be accomplished by flossing or using small brushes. Scheduling a visit with your dentist (especially if it’s been awhile) will help, as well as regular cleanings. If you take care of your implants, they will take care of you. As long as they receive proper care, your implants can last a lifetime. While there are many complications of diabetes, there is one that is not often discussed – gum disease. Many individuals don’t know that diabetes can wreak havoc on your teeth and gums and even cause tooth loss. Diabetes is a modern day, global epidemic that affects close to 10 percent of the United States population. In fact, over 29 million Americans currently live with diabetes. Many more are undiagnosed and do not know they have the disease. As the general population skews heavier and as baby-boomers get older, the total number of diabetics is certain to rise. It’s also important to note that 86 million people are pre-diabetic with nine out of 10 of those people unaware of their condition. The statistics are staggering, and it’s a fact, that many of these individuals are struggling with significant gum problems and tooth loss as a result of diabetes. After eating, the body naturally processes food and turns it into blood sugar or glucose to be used as energy. Diabetes hinders the body’s capacity to process glucose. Insulin, a hormone released by the pancreas, enables the body to utilize blood sugar and regulate the build-up of glucose in the bloodstream. In Type 1 diabetes, the body is unable to produce enough insulin, and in Type II, the body itself simply ceases to respond to insulin. Both conditions give rise to excess sugar in the bloodstream which can cause many health conditions, including inflamed gums, periodontal disease and even tooth loss. Is It Diabetes-Related Gum Disease? If you’ve been diagnosed with diabetes, there are strategies you can take to reduce your risk of developing periodontal (gum disease). This includes using a gentle toothbrush that protects the teeth at least two to three times per day, flossing and obtaining regular dental checkups. As well, it’s essential to keep blood sugar in check by taking necessary medications, eating a healthy diet and getting sufficient exercise. While gum disease is very prevalent in those with diabetes, it is preventable. Keeping your gums healthy also helps reduce inflammation stress on your body. Less inflammation will also help reduce blood sugar levels. Each and every day, we’re inundated with media reports about serious health epidemics, such as heart disease, diabetes, obesity and cancer. Yet, there is another health epidemic that impacts far more Americans than any other condition, and it gets far less exposure and is rarely discussed. It’s gum disease, also called periodontal disease. You may be shocked to discover that more than 75% of Americans have some form of this condition, and 40 percent have no idea that they are suffering from it. In fact, there is growing evidence that suggests that bacteria that causes gum disease can enter the bloodstream through gum tissue, impacting the function of many organs, including the heart. With gum disease plaguing the majority of Americans, much more needs to be done to raise awareness about it. 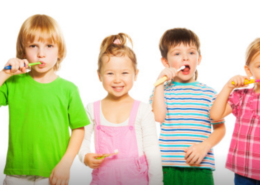 Gum disease prevention should start at an early age. While periodontal disease is uncommon in children and adolescents, gingivitis, an early sign of future periodontal disease, is shockingly common. A lack of oral hygiene and eating a diet high in sugar and starch are common causes of gum inflammation in children. Bacterial buildup and plaque formation are to blame. However, these aren’t the only causes. Over-brushing can also be a primary factor in the early development of gum disease, and one that doesn’t get identified nearly enough. Standard, nylon bristle toothbrushes, commonly handed to patients by their dentists, are too abrasive for gums and teeth. This is why many individuals develop gum disease even when they’ve been diligent about brushing for two minutes, twice daily. 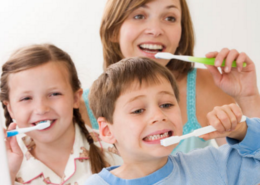 Brushing with a standard toothbrush breaks down tooth enamel and wears away gums. When this occurs, there is greater exposure of the roots of teeth and loss of bone. As well, teeth become sensitive, making it more difficult to brush. In other words, over-brushing creates a perfect storm for gum disease to develop. Interestingly, dental hygienists use a rubber polishing instrument for patient cleanings, as opposed to a nylon bristle brush. The Periclean rubber bristle brush is similar to these in-office instruments and is a safer alternative that both children and adults can use on a regular basis. While this innovative toothbrush will not eliminate all causes of periodontal disease, it can reduce the negative impact of overbrushing which is a common cause of the condition. PeriClean does not prevent nor treat gum diseases. Use a PeriClean ultra-soft toothbrush to clean your teeth as part of an active effort to avoid receding gums. See your dentist for regular dental checkups.